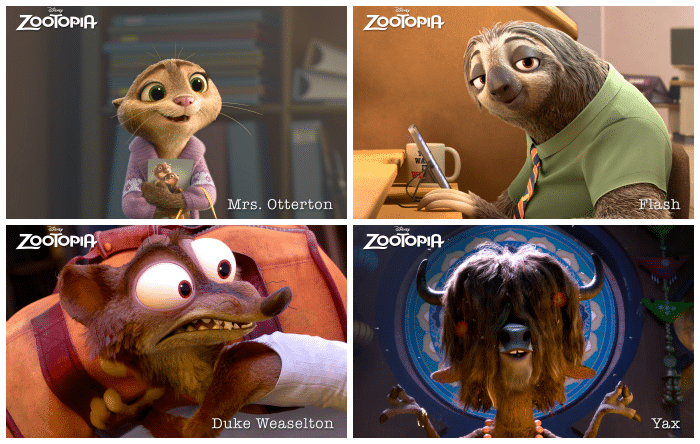 Joining Ginnifer Goodwin, who provides the voice of Zootopia’s first bunny officer Judy Hopps; Jason Bateman, who lends his voice to con-artist fox Nick Wilde; and Shakira, who voices international superstar Gazelle, are the following members of the “Zootopia” voice cast. Idris Elba (Netflix’s “Beasts of No Nation,” BBC’s “Luther”) provides the voice of CHIEF BOGO, head of the Zootopia Police Department. 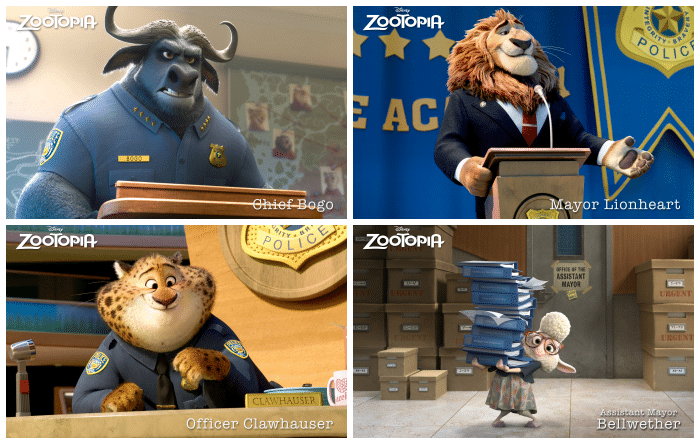 A tough cape buffalo with 2,000 lbs of attitude, Bogo is reluctant to add Judy Hopps, Zootopia’s first bunny cop, to his squad of hardened rhinos, elephants and hippos. Nate Torrence (HBO’s “Hello Ladies,” Fox’s “Weird Loners”) lends his voice to the Zootopia Police Department’s most charming cheetah, BENJAMIN CLAWHAUSER. Clawhauser loves two things: pop star Gazelle and donuts. From his reception desk, he greets everyone with a warm smile and a helpful paw—covered in sprinkles. Jenny Slate (“Obvious Child,” “Marcel the Shell”) provides the voice of ASSISTANT MAYOR BELLWETHER, a sweet sheep with a little voice and a lot of wool, who constantly finds herself under foot of the larger-than-life Mayor Lionheart. Tommy Chong (“Up in Smoke,” “That ’70s Show”) lends his iconic voice to YAX THE YAK, the most enlightened, laid-back bovine in Zootopia. When Judy Hopps is on a case, Yax is full of revealing insights. 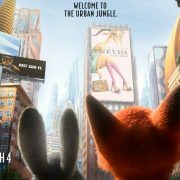 Octavia Spencer (“Insurgent,” Oscar® winner for “The Help”) voices MRS. OTTERTON, a desperate otter who turns to Officer Judy Hopps for help in solving her husband’s mysterious disappearance. • Bonnie Hunt (“Return to Me,” “Jerry Maguire”) provides the voice of BONNIE HOPPS, mother of Judy—and her 275 brothers and sisters. 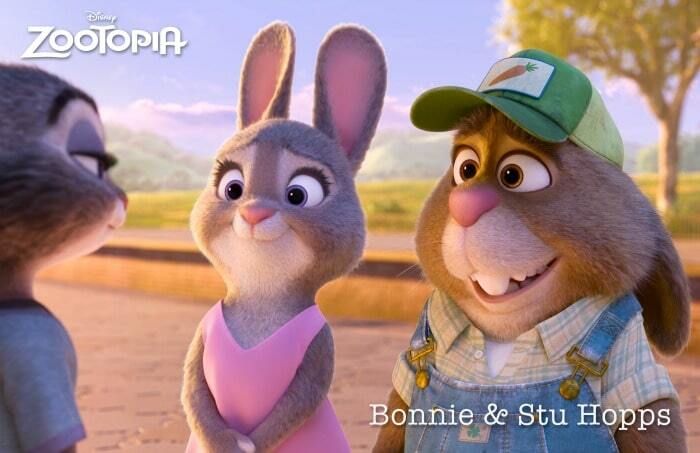 Mrs. Hopps loves and supports her daughter, but is a hare nervous about Judy moving to Zootopia to become a big-city police officer. 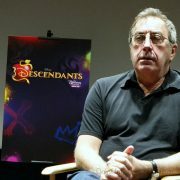 • Don Lake (“Dumb and Dumber To,” “The Bonnie Hunt Show”) voices Judy’s father, STU HOPPS, a carrot farmer from Bunnyburrow. Along with Mrs. Hopps, he is worried about Judy moving to Zootopia and the untrustworthy big-city mammals who live there— especially foxes. 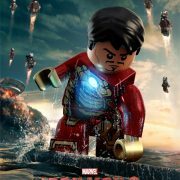 • Alan Tudyk (“Rogue One: A Star Wars Story,” “Trumbo”) returns to Disney Animation’s recording studio for his fourth feature in a row as the voice of DUKE WEASELTON, a small-time weasel crook with a big-time weasel mouth, who tries to give Judy the slip during a police chase. • Tommy “Tiny” Lister (“Friday,” “The Fifth Element”) voices FINNICK, a fennec fox with a big chip on his adorable shoulder. • Raymond Persi (“Wreck-It Ralph,” WDAS story artist) voices FLASH, the fastest sloth working at the DMV—the Department of Mammal Vehicles. • Katie Lowes (ABC’s “Scandal,” “Big Hero 6”) lends her voice to DR. MADGE HONEY BADGER, who heads up all of City Hall’s most pressing medical cases. • Jesse Corti (“Frozen,” “Beauty and the Beast”) is the voice of the jaguar MANCHAS, a highly regarded chauffeur who works for the biggest—and shadiest—limo company in town. • John DiMaggio (Fox’s “Futurama,” Cartoon Network’s “Adventure Time”) voices JERRY JUMBEAUX JR., the easily annoyed owner of Jumbeaux’s Café, his elephant ice cream parlor.